A new digital-to-biological converter is allowing us to transmit DNA. People often describe DNA as the “blueprint” for life, and geneticist J. Craig Venter and his team at Synthetic Genomics have created a machine that uses it precisely that way. Their digital-to-biological converter (DBC) can receive a digitized genetic sequence from anywhere on Earth — or in the solar system — and automatically make biological materials using that code. In some ways the device might ultimately work in your home or office like a 3D printer. Instead of plastic filament, though, it would use as its medium a mixture of the biochemicals that make up the DNA molecule, enabling it to reconstruct the genes of an organism block-by-block. Testing the prototype at Synthetic Genomics, the team used the DBC to convert various digital sequences into DNA sequences. From there the DBC used the DNA to automatically churn out proteins, RNA, and even viral particles, no lab tech necessary. The team published the results in Nature Biotechnology. That’s a thrilling development, but what really makes the DBC exciting is its potentially transformative applications if the technology progresses beyond making biomolecules to actually producing living cells. Bringing life from other worlds to Earth is just one possibility among many. If we reversed the direction of the message and sent code for anaerobic Earth bacteria to Mars — an enhanced version we engineered to produce higher amounts of oxygen, for example — we would be able to use the DBC to produce a bacteria that could help us terraform a new world to be more suitable for human life. Closer to home, ready access to the DBC could make rampant outbreaks of deadly diseases a thing of the past. The DBC’s ability to allow transmission of materials for vaccines and other biologics to remote parts of the globe would mean on-demand access to life-saving treatments and preventative measures. It could also be an answer to the problem of the costs of personalized medicine. Venter hopes that one day the DBC could be used in tandem with engineered “blank state” recipient cells that could receive any synthesized genome. 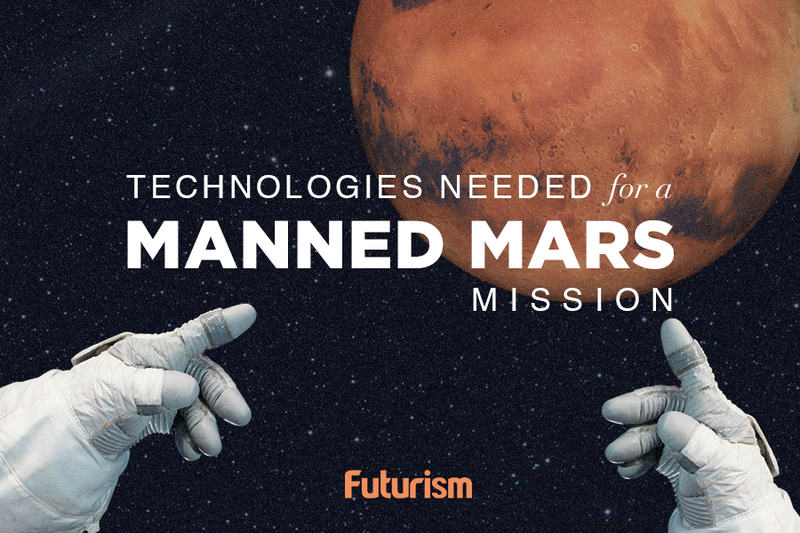 These cells would be capable of producing anything needed in any setting — including fuel, oxygen, and food — and could be sent out into space or anywhere in the world for any purpose. This goal is still far afield, however. The DBC isn’t perfect yet. The team noted that a single error somewhere in the code can ruin significant portions of the product. The DBC also needs to be far more efficient — it is currently too large and most of the raw materials are wasted in the process. Still, the DBC is an important technological breakthrough, and Venter and his team are nowhere near finished. Bill Nye Answers: If Humans Colonize Mars, How Will We Evolve? How Can We Terraform the Solar System?